Join us Saturday, March 31, 2018, 11:30 AM to 6:30 PM for a concert and celebration gathering as well as community and panel discussions throughout the day. The WaterFire Arts Center will also be open on Easter Sunday from Noon to 6:30 PM for viewing of Ryan Mendoza’s “Rosa Parks House Project”. *Speakers will be announced for each panel. All events are free and open to the public! Please RSVP for these events in order to help us plan accordingly. 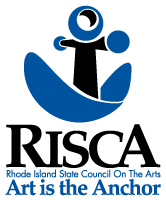 Funded in part by grants from the Rhode Island Council for the Humanities and Rhode Island State Council on the Arts. Organized by WP Support Corporation.